With cases of homelessness in the UK increasing by 31% in the last two years, London creative agency WCRS looks to raise awareness of the issue with The Wrap-Up Project. With the onset of winter, people living on the street become even more vulnerable to sickness. 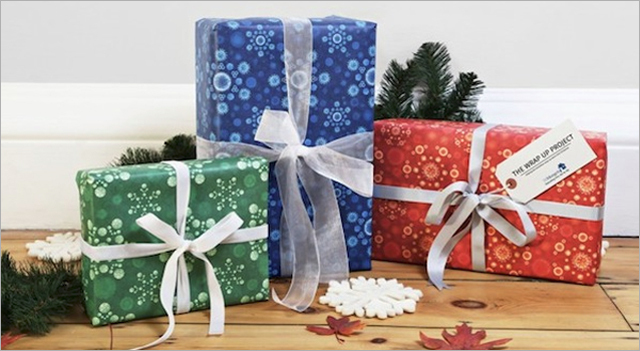 With that in mind, the agency has created a series of colourful Christmas wrapping papers which feature graphical representations of the viruses for the common cold, influenza and pneumonia as snowflakes. The papers are available on ebay in packs of 3 (£8), 5 (£12.50) or 10 (£24), with all proceeds supporting the work of London charity St Mungo’s, which helps people transition to a new life off the streets.